All our glass mirrors are supplied Safety Backed to BS6206 class B & C with polished edges. Screw holes & CP dome fixings. VHB double sided mirror tape. 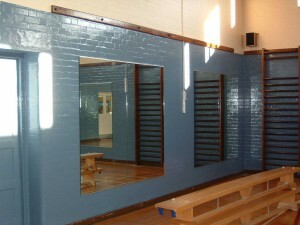 Aluminium mirror trim as above photo.